I don't know if it's a habit of mine to stop writing for a while in August. It makes sense to me. Between the heat, getting ready for fall and a general sense of lethargy, I am content to drift down the stream of the internet and dip my gnarled toes in whatever comes along and not contribute. And given the rate of return on my investment of time and effort, maybe a long break is only right. First try in Rocklands from Jimmy Webb on Vimeo. The diabolically fickle weather has not prevented a number of notable ascents including a series of sends of the new V14 Wheel of Chaos, a lengthy and steep problem in Upper Upper that sent Jimmy Webb to the ER last year after a sharp block came off and sliced his arm open. (I wonder if there is a list of boulderers who have had medical attention thanks to various Park mishaps) And Jimmy's recent ascent of the Wheel of Wolvo, a tough (V14) entry into the Overcling traverse adds yet another V15 to the Front Range. Considering that he has flashed and/or downgraded a number of hard problems here and in South Africa and Switzerland, this is significant. And Hypnotized Minds still awaits a repeat. But maybe more interesting than that was Ashima Shiraishi's very quick repeat of Automator. It was particularly interesting to me because I had the opportunity of working in with her a few weekends ago on the first afternoon she was trying it. 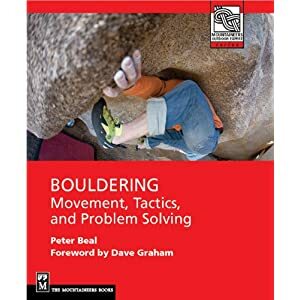 I have a seen many many strong climbers but I freely admit I have not seen a 12-year old girl so thoroughly dominate a difficult boulder before. It was very easy to predict, considering how easy she made the moves look on a very damp and warm afternoon (in fact pouring rain came down shortly after) that she would complete the problem very soon. This she did the very next day, putting in one of the fastest repeats of the problem that I know of. In reflecting on her ability, one of the more interesting points of comparison I came up with was the 37 years of age difference between the two of us and the similarity in the sense that we are both pretty uncommon sights in the world of climbing, on opposite ends of the spectrum. I am particularly impressed by the degree to which she presses forward in the absence of peer groups that understand her focus and drive. Assuming she decides to continue climbing at a high level, the future looks very bright for her. For my part, I am equally interested in the fate of those, who having tasted early success, either lose the plot or leave the sport altogether. I think this is something that those who feel the sport needs to get to the next level are leaving out. The careers in climbing that can actually support a reasonable quality of life have little to do with climbing hard and more to do with more mundane skills like marketing, accounting, logistics, manufacturing, design and so forth. I am not worried about Ashima, especially as she is still so young but I do have concerns about the propostion that teen climbers might entertain that they can have a future as fulltime climbers after they age out of the protective cocoon of parental support and a heavily subsidized competition scene. I have seen way too many climbers burn out and/or drop out once this occurs. However, my belief is (and I spend a lot of time in climbing gyms!) that ultimately the climber who bonds with the natural experience of climbing outdoors is likely to stay in the sport the longest. Here's hoping that Ashima's generation succeeds in doing the same.